Ultimate elegance and safety. Holds up to 1.5 gallons of water per sq yd. Commercial grade edging. Recycled rubber backing. 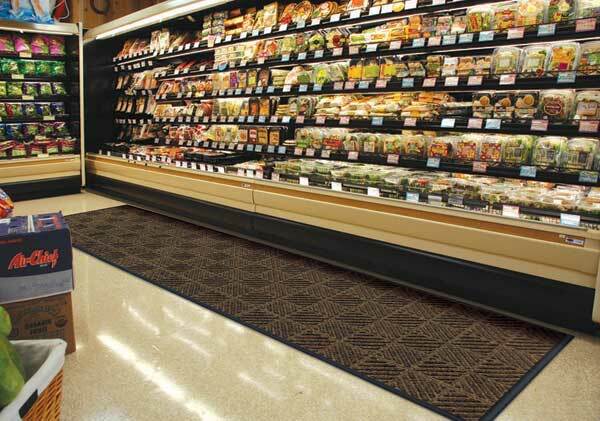 Montage are new, top of the line commercial door mats made with environmentally friendly components. Montage offers enhanced long wearing performance and durability. 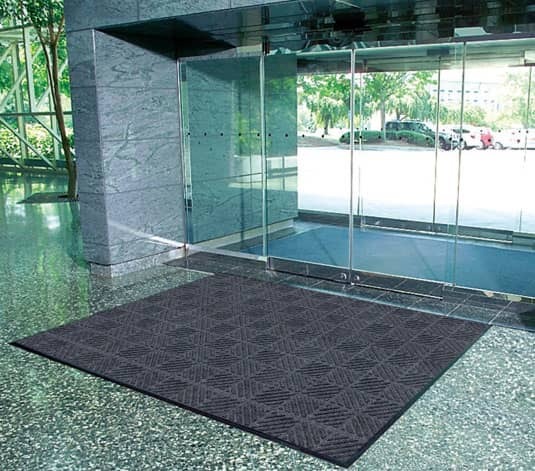 These mats are typically found in the interior or exterior of building entrances of retail stores, office buildings, hotels, hospitals, supermarkets, schools restaurants or other high-traffic areas. 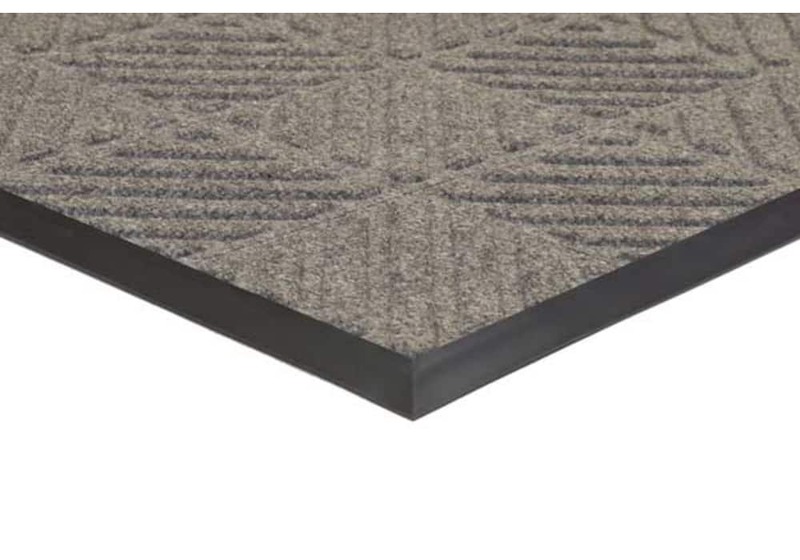 Abrasive scraping surface featuring a specially developed needle punch carpet with extra coarse fibers and surface coating. Multi-directional rib pattern and extra deep channels further enhance the scraping action. Holds 1.5 gallons of water per square yard, keeping moisture, dirt and dust from entering the building. 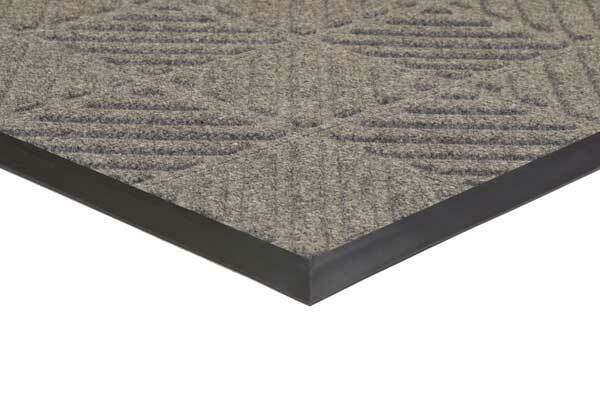 LockTite specially engineered edging locks the carpet in from both top and bottom. Unique surface coating provides extra safety traction during wet weather. Thickness: 3/8" and Weight: approx. 1 lb/sf. 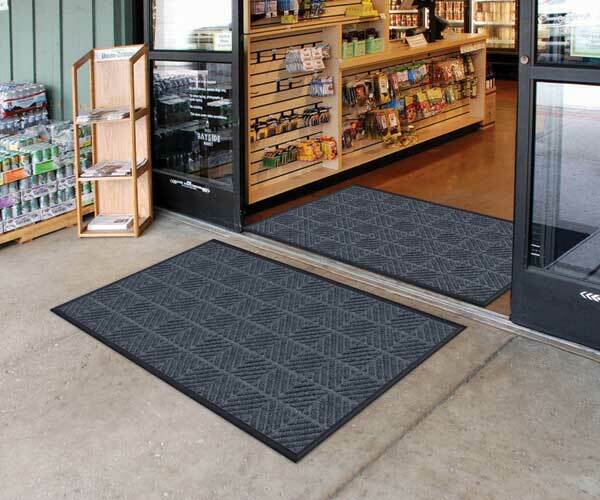 Montage mats are Eco Friendly entrance mats which use commercial grade edging made from recycled materials with reinforced corner patches for added strength. Montage Mats are the Ultimate Elegant Commercial Carpet Entrance Mats. 2' x 3' 26" x 38"
3' x 4' 38" x 50"
3' x 5' 38" x 61"
3' x 6' 38" x 74"
3' x 10' 38" x 121"
3' x 12' 38" x 145"
3' x 16' 38" x 192 "
3' x 20' 38" x 240"
4' x 6' 50" x 74"
6' x 8' 74" x 97"
6' x 10' 74" x 121"
6' x 12' 74" x 145"
6' x 16' 74" x 192"
6' x 20' 74" x 240"
3' or 6' wide. Up to 60' long (whole foot increments only). components. Montage offers enhanced long wearing performance and durability. 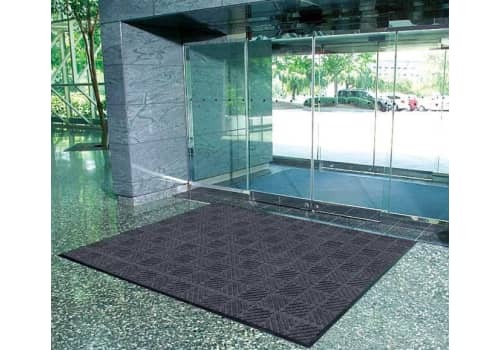 Building entrance mats, retail entry mats, and floor matting for wet areas are some of the many ideal uses for Montage commercial carpet mats. 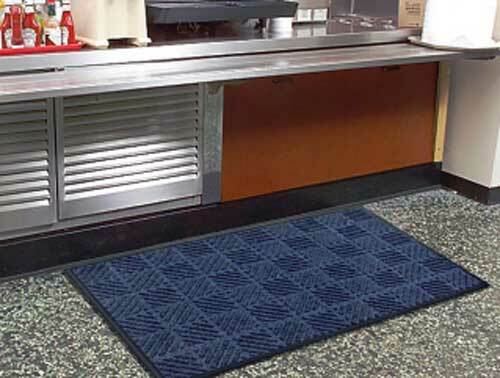 These mats are typically found in the interior or exterior of building entrances of retail stores, office buildings, hotels, hospitals, supermarkets, schools restaurants or other high-traffic areas. 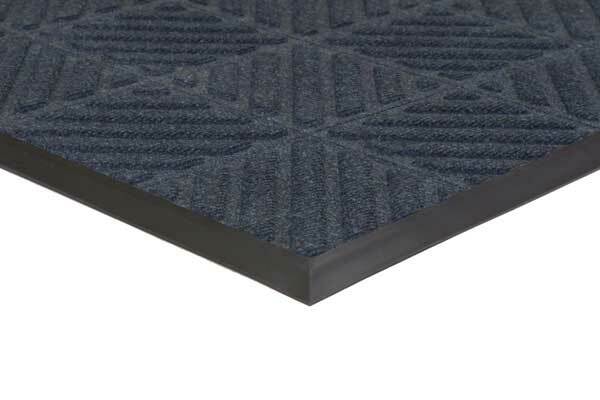 Abrasive scraping surface featuring a specially developed needle punch carpet with extra coarse fibers and surface coating. Holds 1.5 gallons of water per square yard, keeping moisture, dirt and dust from entering the building. Includes carpet fibers extracted from recycled plastic bottles. Molded to a rugged recycled rubber base, providing a crush-resistant, durable scraping surface. Multi-directional rib pattern and extra deep channels further enhance the scraping action. LockTite™ specially engineered edging locks the carpet in from both top and bottom.